Premier League club Arsenal will aim to bounce back after a knock-out defeat by arch-rivals Manchester United when they take to the field against Cardiff City at the Emirates Stadium. Premier League club Arsenal will aim to bounce back after a knock-out defeat by arch-rivals Manchester United when they take to the field against Cardiff City at the Emirates Stadium on Tuesday night. The Unai Emery-led side were outplayed 3-1 by the Red Devils in the weekend, and that drew criticisms from fans and pundits alike. 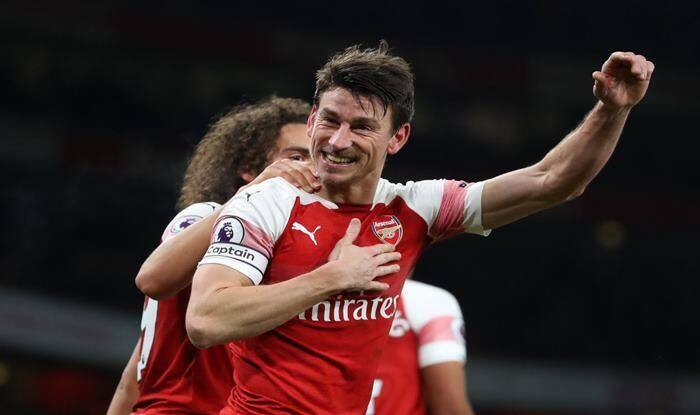 Arsenal are placed on the fifth position in the league and are targetting a top-four finish in a bid to play in the Champions League next season. However, that ambition may have taken a blow as the club are going through an injury crisis, with several of their key players-defenders especially- sidelined. Making matters worse, coach Unai Emery’s issues with the club’s highest paid player seems to be never-ending at the moment. For the fans supporting the Gunners, nothing short of a victory would be expected when Arsenal meets Cardiff City. When and what time will Arsenal vs Cardiff City start in the Premier League 2018-19 match? The match will kick-off at 1:15 AM IST on Wednesday (late Tuesday night), 30th January. Where will the Arsenal vs Cardiff City take place in the Premier League 2018-19 match? The match will kick-off at Arsenal’s home ground, Emirates Stadium. Which Indian Channel will telecast Arsenal vs Cardiff City in the Premier League 2018-19 match? STAR SPORTS network will telecast the Arsenal vs Cardiff City of the Premier League 2018-19 season. Where can I live stream the Arsenal vs Cardiff City match online? All the Premier League matches can be live streamed on Hotstar app and hotstar.com.